MOTIVATED SELLER!! 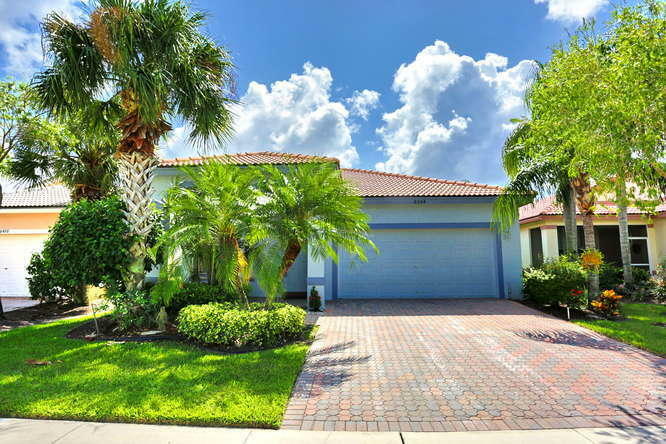 VENETIAN ISLES - Florida living at its best! 3 Bedroom, 2 full baths with covered front porch, retractable front screen door & large screened patio off the Family Room. Mediterranean style home has an open concept spacious kitchen & many custom amenities including granite counters & back splash & large center island. There are slide out shelves at the bottom of all wood cabinets & pantry for easy access. Wood laminate floors installed on a diagonal throughout the house, with neutral light carpeting in the bedrooms. 2 walk in closets plus 3 double closets with custom storage cabinets above 2 closets. Other great upgrades: accordion hurricane shutters, generator in garage to provide instant power, & ceiling fans in bedrooms, family room & L.R. This is a MUST SEE! !